"C.P.R. 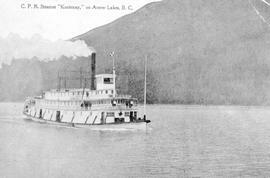 Steamer 'Kootenay' on Arrow Lakes, B.C." "E.J. 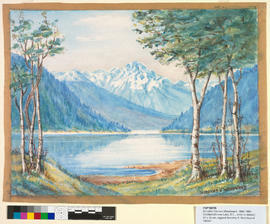 Branford and Company, Camborne, BC; freighting on Arrow Lake from Arrow Head to Beaton, BC"
Plan shewing subdivision of Lot 7952, West Kootenay / the Lakes (B.C.) Canning Company Ltd.
Industrial film. Construction at the Arrow dam site, September 1965; aerial views, heavy equipment, dredging, barge dumping fill in lake, etc. Promotional film. Two 90-second news clips dealing with construction at the Duncan and Arrow dam sites respectively -- excavation, land clearing, removal of houses, etc. Industrial film. Two 90-second news clips dealing with excavation work and dam construction at the Arrow and Duncan dam sites. The sound track comprises music only.